Let us say you run a company that is in the business of buying oranges from farmers and selling it in retail. You have been buying a dozen oranges for Rs. 30 and sell them for Rs. 60. Suddenly, because of pests destroying most the orange crops, farmers are selling oranges for Rs. 60. So now you are buying oranges for Rs. 60. The government in power feels oranges are very important for the nation, and a large part of the population will vote for them if orange prices are kept in control. Because of this the government has made it a law that no retailer can sell oranges for more than Rs. 60. You as a business can’t sell them at more than Rs. 60 even though that is your cost. What if more pests attack the orange crop and the farmers sell oranges for Rs. 70 to you, but you are still forced to sell at Rs. 60? What do you think would happen to your “orange company’s stock price’ in such a case? Almost for certain the stock price would fall dramatically – especially if the government has such restrictions in place. But what very few people will forget is that – are the pest attacks permanent? Will the government always have such restrictions? In the long run it will be difficult to be in the orange business if the government has such restrictions. Almost every investment or business will sometime or the other faces pests. And almost always these pests will affect the profitability of the company, but we need to ask ourselves as value investors – are these pests of a permanent nature? Or are these pests simply helping us discover value and invest in companies that will reward us with fruits for the long term? That is what every smart investor needs to study and decide. Recently one such pest has helped a company become even more attractive for investment. Over the recent years, many of my investments have been at the times of crisis, problems and challenges. My last successful investments were mainly made during the global economic crash of 2008/2009. I made one of them public during that time in my Happionaire’s Cash The Crash and am sure all those who followed it would have been rewarded handsomely, as that investment went on to give over 100% returns. Now once again the world – particularly the Middle East and parts of north Africa are going through major political problems, with riots and political turmoil. Times are very challenging for people there and I hope there is peace soon. While most people are looking at the problems, I am someone who likes to look at things from all aspects, and in the midst of all this there are investment opportunities. I do understand that at such times it is hard to think about investing, to some it might seem heartless – but then that is how things work. Mittal picked up steel plants, when they were sick units making heavy losses and not at the peak of the boom. People who are not from the world of investing and finance, fail to realize how everything in the modern day world is inter-linked. A riot in distant Libya can create opportunities for investors in India. Wealth created by these investors can lead to rise in asset prices back home in Bangalore, Mumbai or Delhi 3-4 years down the line. The company I have been investing in has become even cheaper because of problems in Libya and pressure on Gaddafi. But this pest – Gaddafi, can be used to get more value for your investment. I’m sharing this company I am investing in, from an educational point of view because it will be something to really learn from in the coming years. Like our last educational research reports (Cash Is King - Valu-Alu Buy), published way back in 2008/2009, this company too has similar potential to reward investors several fold. All those who read that report, would have seen the tremendous returns investors got over the past 2 years, but more important than that they could have used that knowledge to scout for similar opportunities. Post the global recession and some incredible investing opportunities, we once again have something that will create immense wealth in the coming few years and more importantly will be talked about in hindsight. But as value investors it is our duty to get in first! You can e-mail Karan at info@happionaire.com to find out how you can access the report. However, just like our past investments, you need to have a horizon of at least 2-3 years to fully benefit. Anyone with a short term view, is humbly advised not to purchase this report. Very nice to see a report being shared after so long Yogesh ji. I made good returns with the past two reports I had purchased. Have sent an e-mail for the report, is the automated system not working now due to Paypal issues with India? Curious to know how Gaddafi affects us. Really interesting how you can link finance and investing to so many global events. I guess, it is Punj Lloyd ! Its neither PUNJ LLOYD nor SUGAR SECTOR.. I am sure it is Airline stocks. They are affected and recently government made sure they control prices. Am waiting for my report now. To be sure if am right or wrong. But finally good times are coming to start buying for all of us who waited! Its neither Sugar Sector nor Punj Lloyd but definitely looks like either an Oil marketing company (De-regulation of diesel is yet kept on hold) or Airline sector. Excellent report Yogesh ji, after very long I got a chance to read a report from you. Pure pleasure and am sure this company will create lot of investor wealth. Must be an oil marketing company. Ordered my copy just now. Little costly though! guess its one of the oil marketing companies. just ordered my copy now. Little costly though! Yogesh ji, just finished reading and learning from the in-depth report you have put out. Fully agree with your analysis and was really shocked to see something so close in front of our eyes, but we were blinded to invest because of fear and noise. Grateful for you for once again sharing something with us after so long. KUMAR HERE,, FIRST I LIKE TO THANK TO EVERYONE WHO SHARES THERE VALUABEL IDEAS OF STOCK INVESTING.. PARTICULARLLY MR. RAVI., EVEN I AM EARGLY WAITING FOR THE REPORT.. Very good report and very different from others, because its totally practical and even someone like me can read, understand and learn from it. This is my first report ever that I have read and it was an amazing experience. also i am really going to invest in this company for the long term and am sure it will do very well. Yogesh Sir, please tell us your enlightened views on the budget and what you thought of the rail budget. yes KSK fellow happionaire Ravi had some very good views. There are only three top companies in that sector. You can invest in any of them and they will provide better Return on investments in coming years. I must say I am overwhelmed to know that happionaires are liking my ideas and the way we all communicate. Thanks for your support! It is simple, not that complicated ! Libya is exporting most of the oil to the world. Assuming this I did a bot research and my closest guess is one of the above mentioned stuff. The other sector could be Airline Industry which from past few weeks beaten a lot. I don't think yogesh was talking about these companies but in long run these might be wealth creators of Investors. The above airline stocks beaten a lot in past few weeks. Share your thoughts fellow happionaires. My 2 cents...does not matter which company this is. Use this correction which offers us a great opportunity to invest. Market keeps giving such rare opportunities from time to time. We are seeing this after a long wait of 3 years and hopefully it will get juicier during March to September. There are so many Gems out there. Keep buying in small bits. Consolation is that fundamentally India is strong and these are purely sentimental and technical. Lets make the best use. i have identified 10 gems and will sell everything i have to buy these when i get those target prices. Happy investing to all. Gone through the report..very simple yet intelligent and realistic report. Those who have purchased will do well to stagger their purchase! Read the report. I have my own doubt, since 3 yrs horizon, more risk involved. Advice investors to be more cautious this time. All who are accumulating at current price are going to have a great pain. All the best. Fantastic time to start investment, Yogesh. You choose right time. Most of the people are in pessimism and this gives immense opportunities. I am also watching Mr Market and it is giving nice opportunities to buy few growth stocks. There are lots of consumer oriented stories, which I am closely watching. I paid for the report on 8th march 2011, but didn't receive it yet. It would be great if I receive the report asap. Excellent report from a great teacher. Please share more such ones rather than only one after so long. Really look forward to more such practical gems. Truly priceless. I haven't purchased this report but I can guess what yogesh ji is talking about. If i am not wrong then the said company is IOL. Let's me know your thoughts on the same. As all others have already mentioned, this is one of the best reports I have ever read in my life - and mind you I have read a lot of reports from the biggest funds in the world. What I like as others was that while it is so simple, it is also very powerful and the logic is 100% right. Since over the past one month we have already seen the performance, and am confident too that it will reward investors handsomely. This is once again a rare opportunity. Keep sharing more Chabria ji. Excellent analysis of the company and explnation is very beautiful Yogesh. Please share more so we can learn. 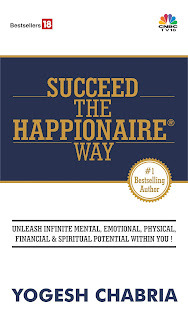 Simple Mahesh, just e-mail info@happionaire.com - must thank you for such a good report and even though Yogesh ji, you advice us to invest only for the long term, the company has already risen almost 20% since you shared. I know there is till time for it to go up much more looking at the sheer low base it is at. I have not bought this report - but I guess it's either MRPL, ONGC or Essar Oil. Superb report and am sure with way things are going all investors in this will make excellent returns. Want to know Yogesh ji, which other companies are good now to make money in?